Arab Artist is a trademark imagined by Sirine Fattouh. The pins are distributed to people in the artistic community during exhibit openings or art fairs in which Fattouh is present. 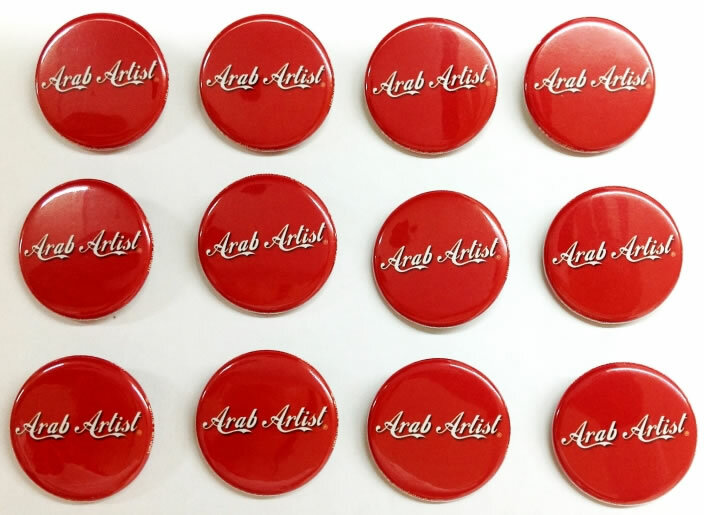 Through this action, the artist seeks to contaminate the visual space with her Arab Artist Pins and questions the Arab Artists identity and label.